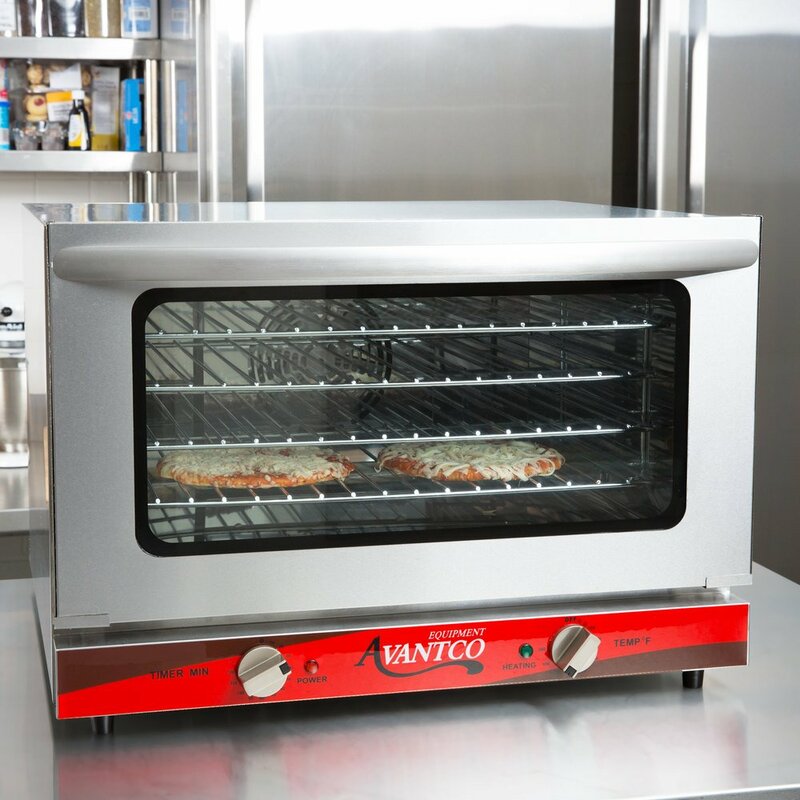 This oven's interior and exterior are fully constructed of heavy duty stainless steel, and the cool-touch dual pane glass door window keeps heat in while preventing operator burns on the exterior side. 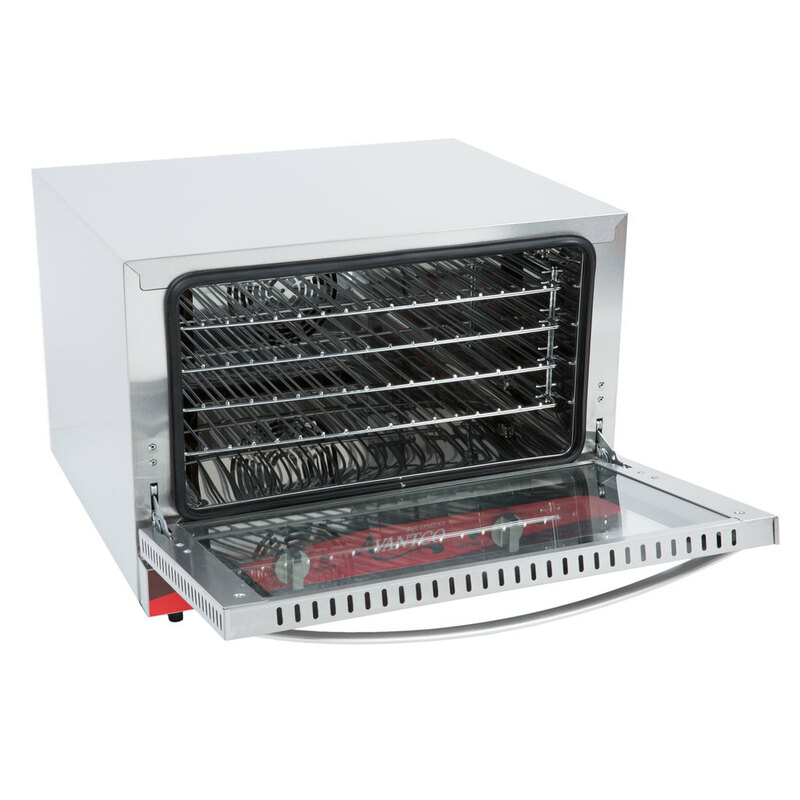 A vent with guard is located at the rear of the unit for even heat and air distribution. 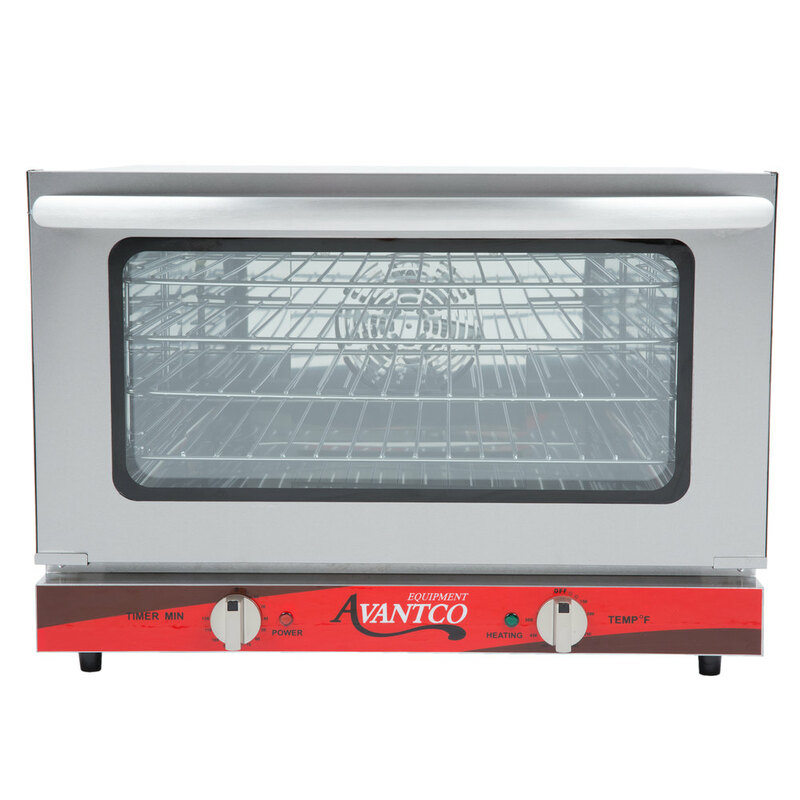 The Avantco CO-16 requires a 120V electrical connection for operation. I searched for months to find an affordable but heavy duty half-size convection oven. The home models were too flimsy or small, and most commercial models were way out of my price range. The Advantco was exactly what I was looking for. It runs on normal household current, but is still plenty powerful. 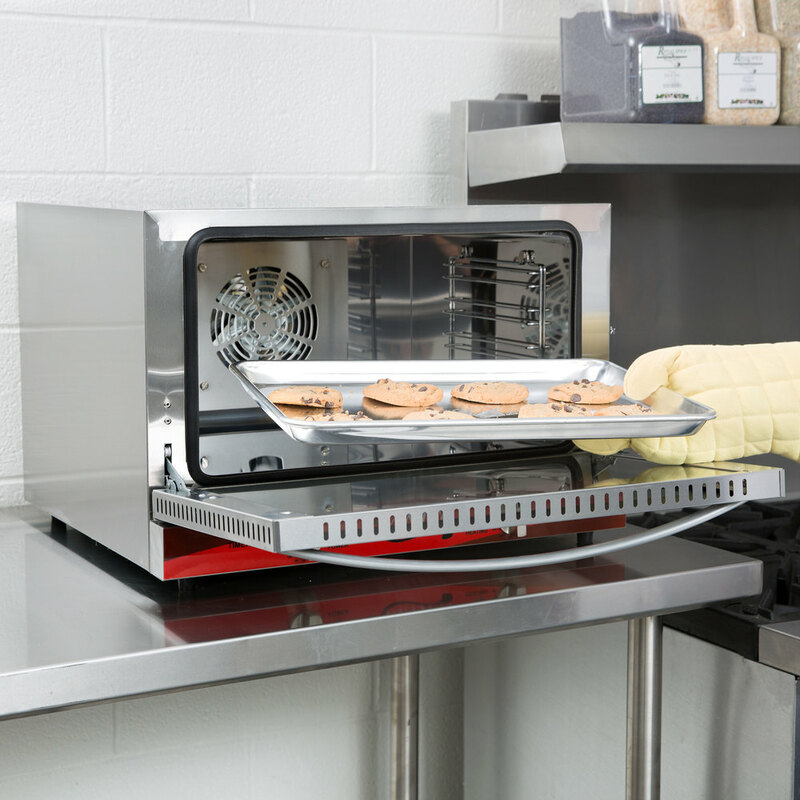 It is all stainless construction and comes with four baking racks. The oven fan is quite powerful. You really need to be careful about opening it while it’s running, because you will be blasted with hot air. I did notice, as other reviewers have commented, that it has a hot spot, and you really should rotate the food half way through the cooking process. One unusual design is where the heating element is located. I would have expected the element to be at the top and/or bottom of the oven, but it coils around the convection fan in the rear. My single biggest complaint is that it has no oven light. I have to keep a portable clip on light handy to hook onto the oven handle in order to clearly see inside while the food is cooking. 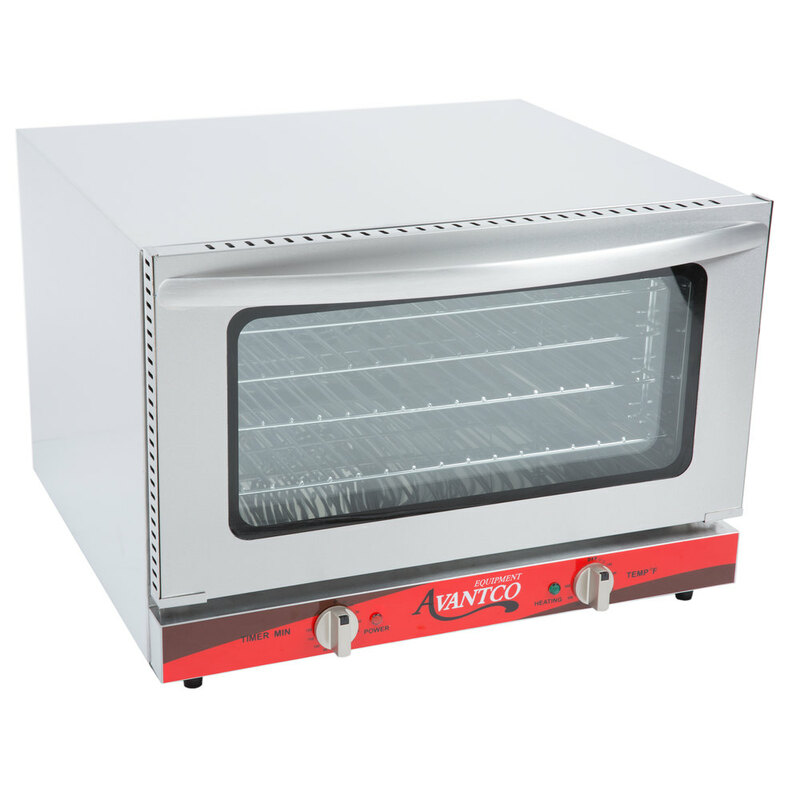 I sure wish Advantco would consider putting in an oven light – it would make this countertop convection oven near-perfect. Cleaning involves taking off the for screws that old the housing around the fan and two screws on the sides that old the chrome rails that the baking racks fit into. Then you have complete access to the interior. I’ve done one thorough cleaning since I owned it, and it came out looking like it was brand new. Laura B. from Keystone Community Resources Inc.